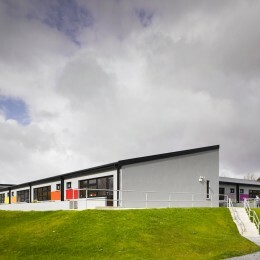 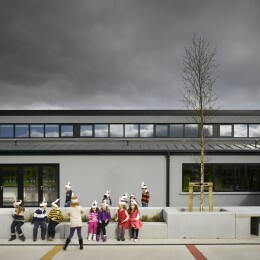 Oughterard National School | Ros Kavanagh. 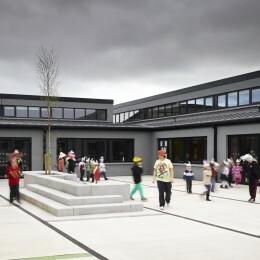 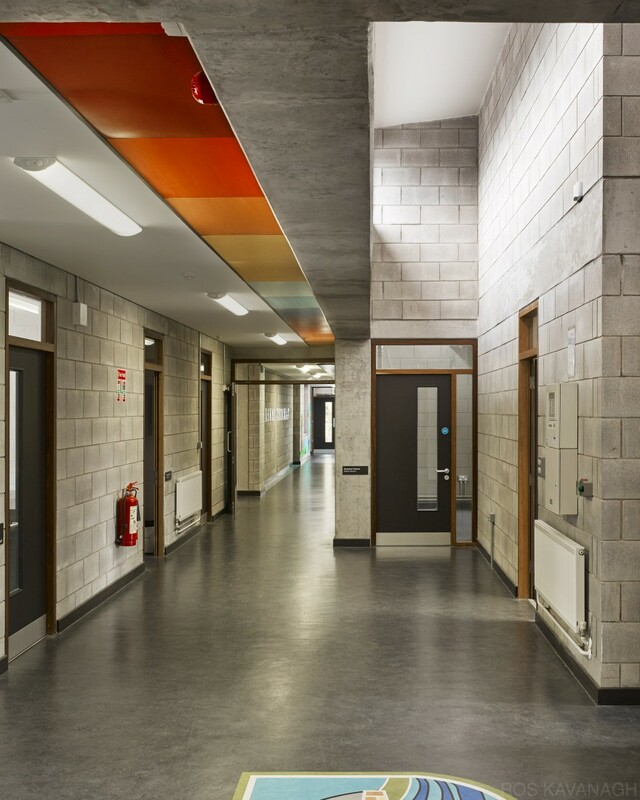 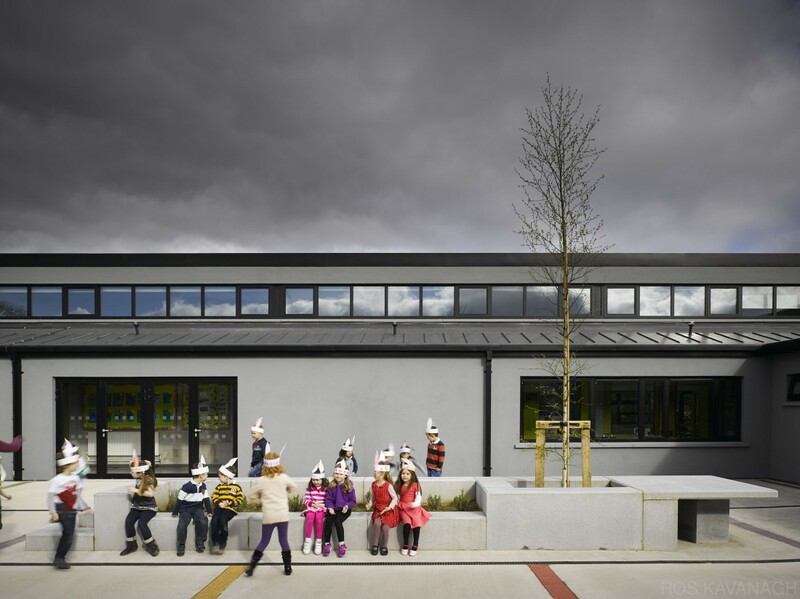 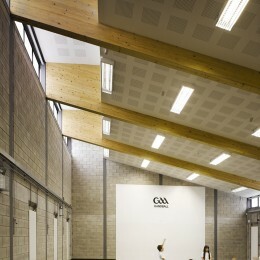 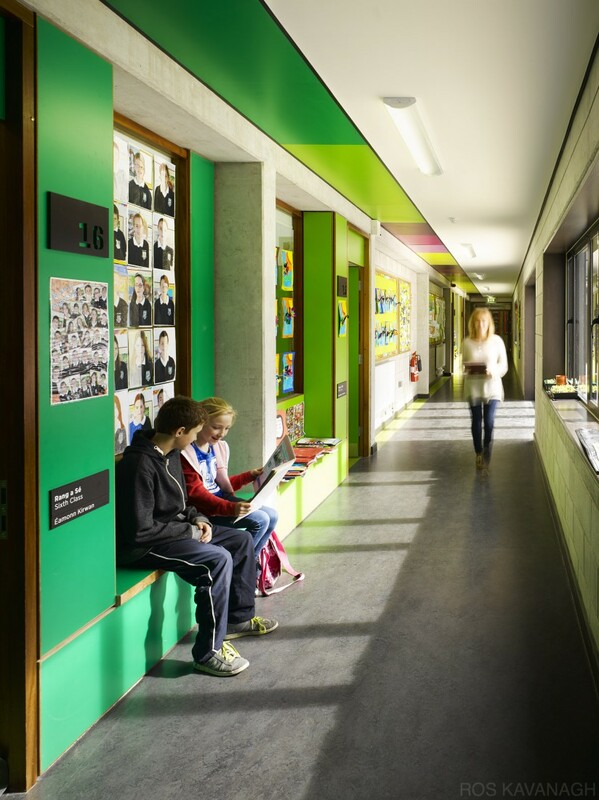 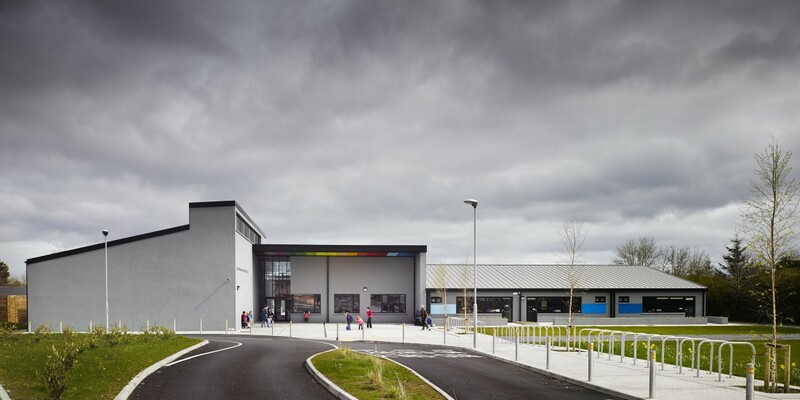 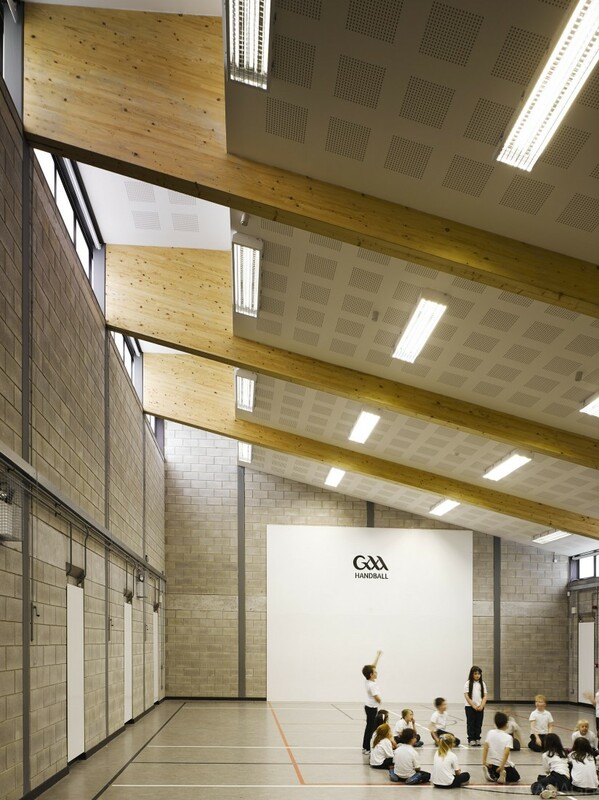 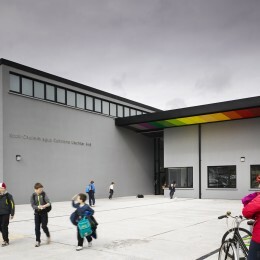 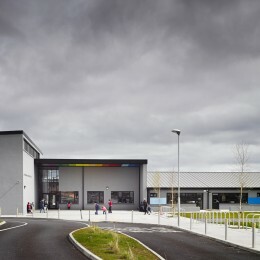 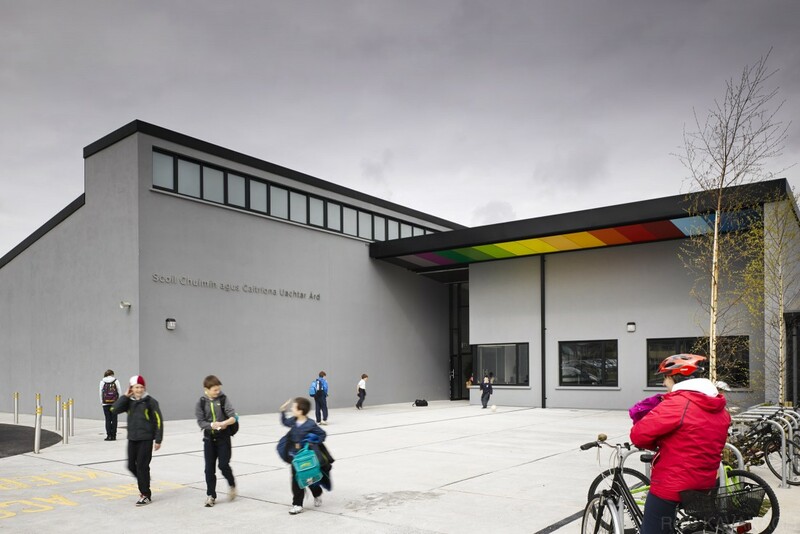 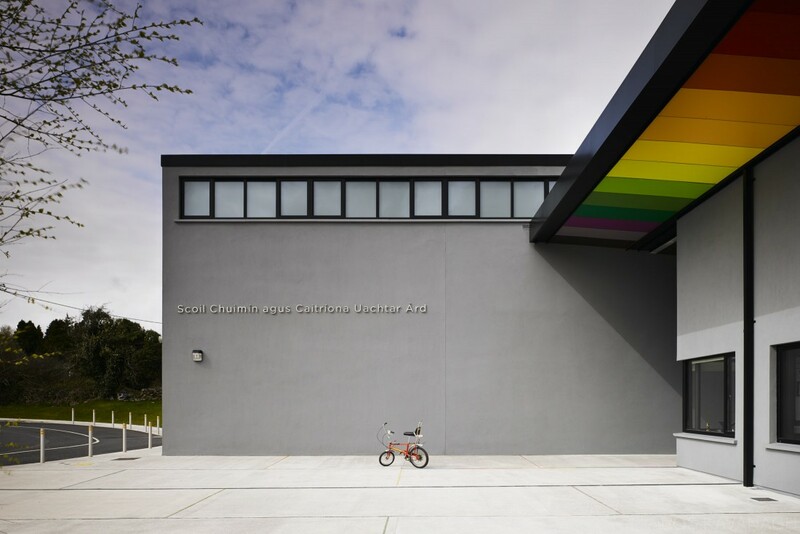 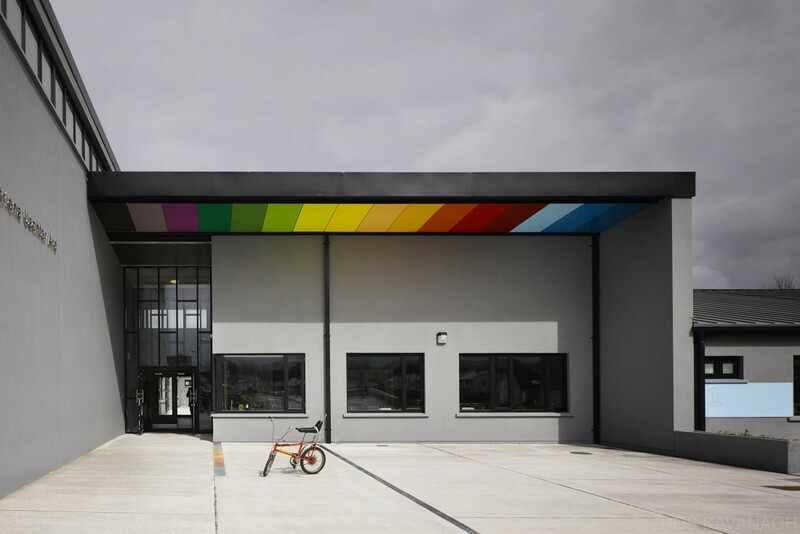 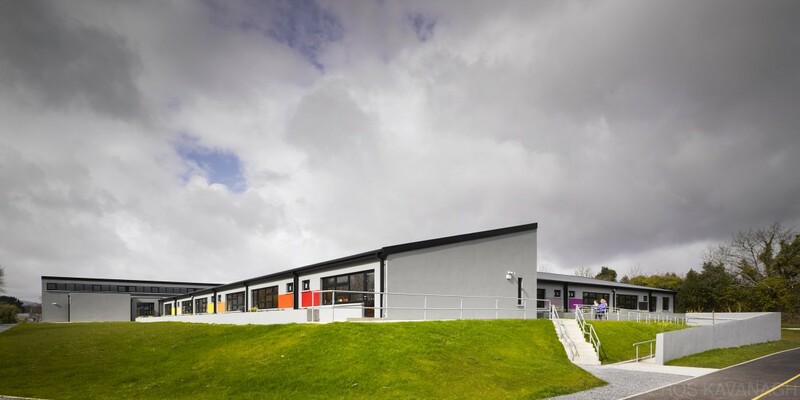 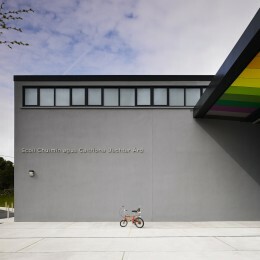 Scoil Chuimin agus Caitriona is a newly built 16-classroom junior school designed by the multi-award-winning team at Simon J Kelly + partners architects and built by JJ Rhatigan & Company as a cloister building arranged around a central courtyard at the heart of the school. 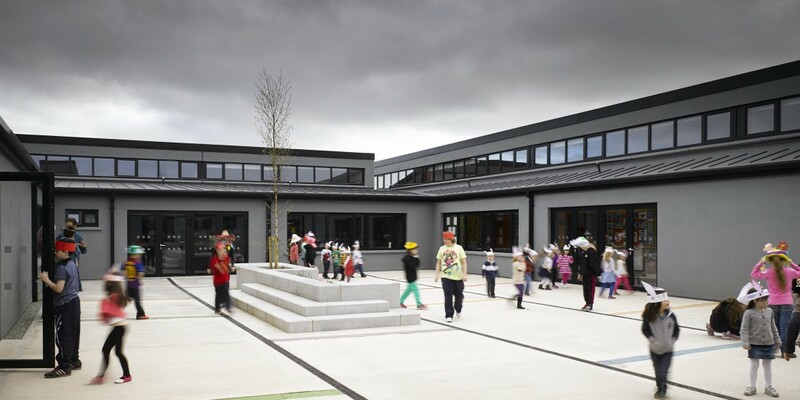 The courtyard is crafted as an outdoor classroom and a safe, sheltered playground for smaller children. 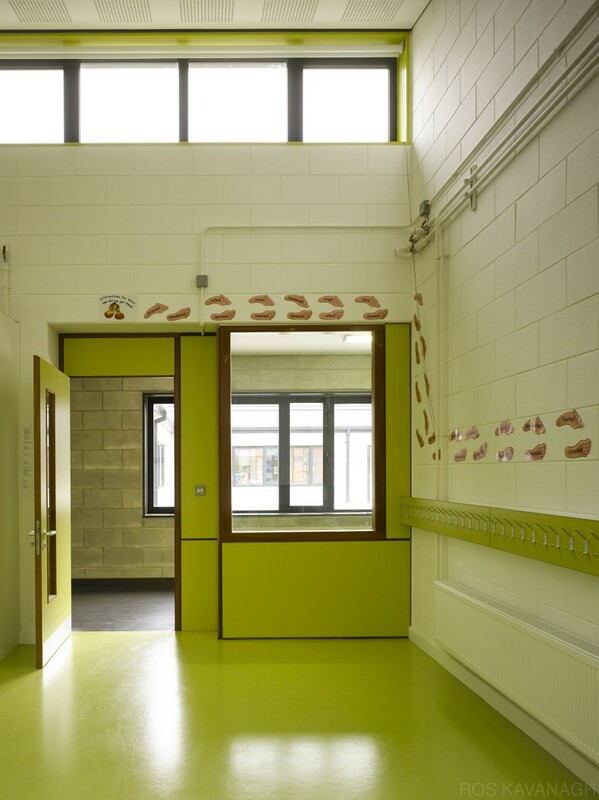 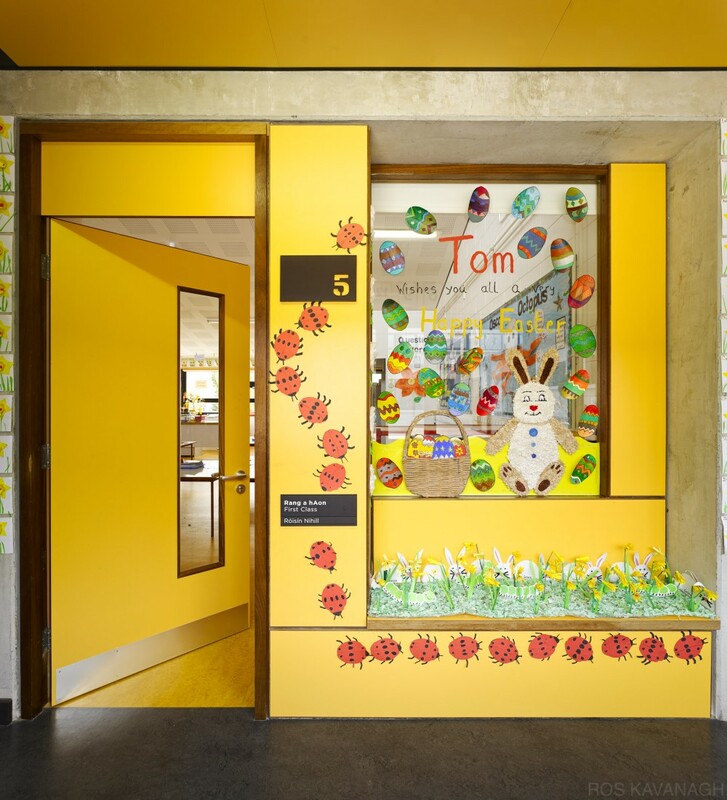 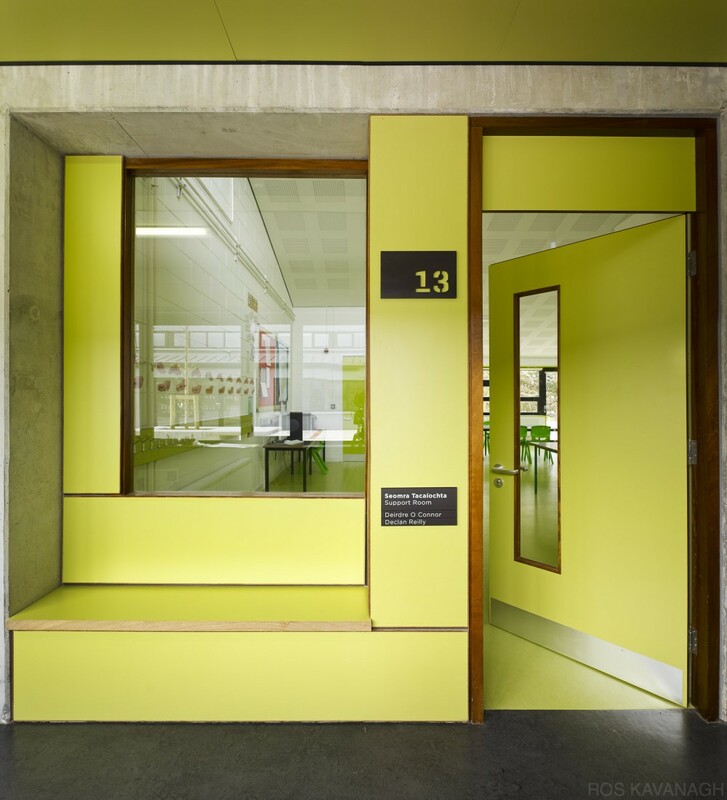 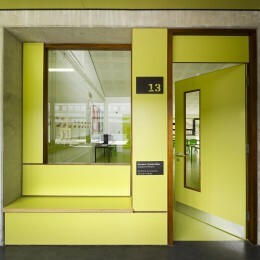 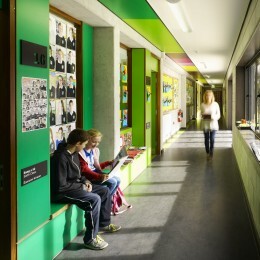 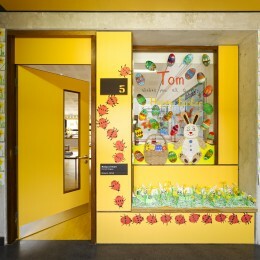 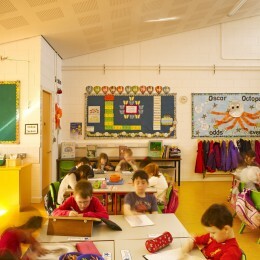 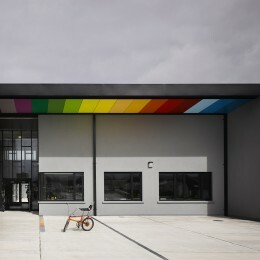 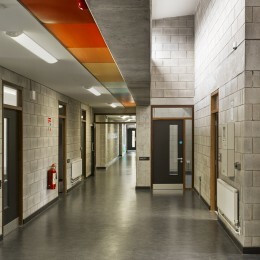 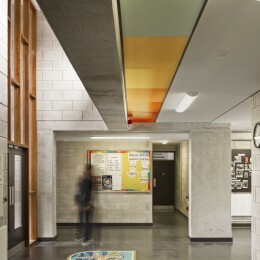 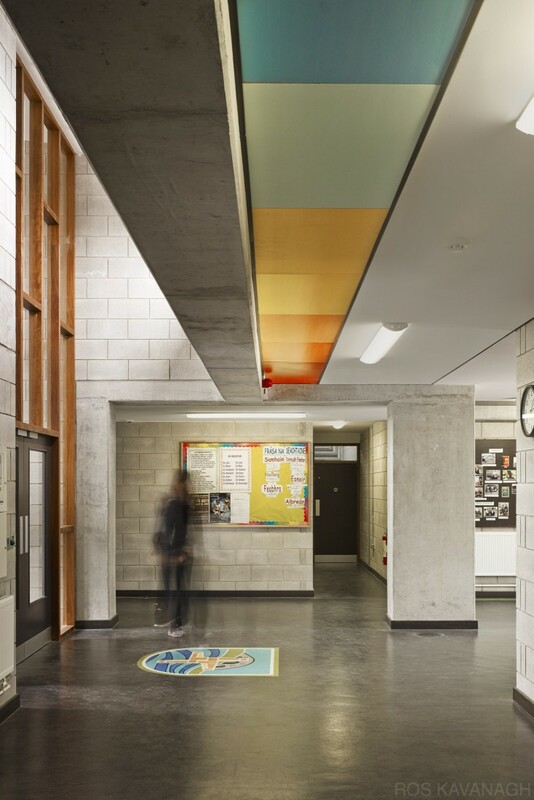 Each classroom is a different colour, and filled with natural daylight from two directions.